Scotch & Soda is from Amsterdam, and some of their stuff can be on the wacky side, so I haven’t ever paid much attention to them. But I have discovered lately that they also turn out some very cute pieces, and they don’t shy away from a good print, and you know how I like that. 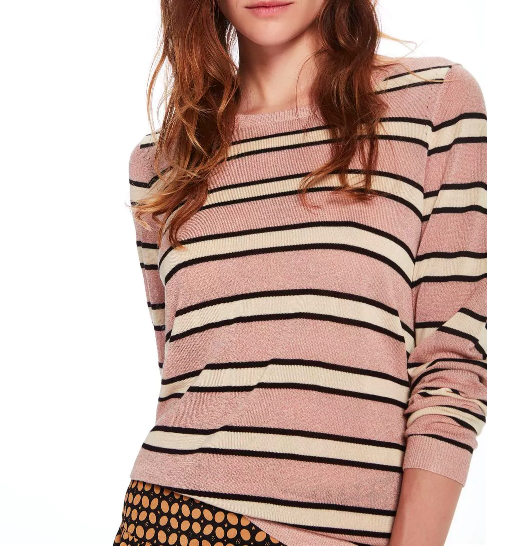 I think the matchy-clashiness of this top is perfectly adorable (it comes in a dress too, if you’re interested). 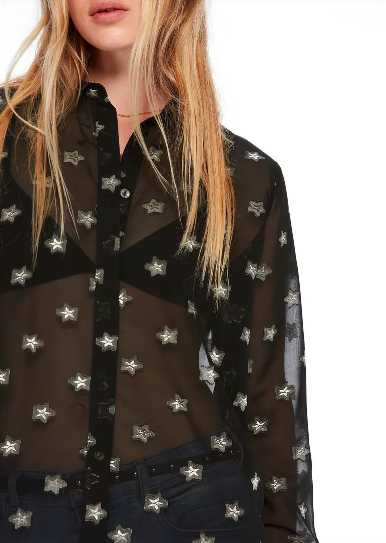 I’d wear this sheer star-print shirt with a black cami underneath. I like how vaguely Sgt. 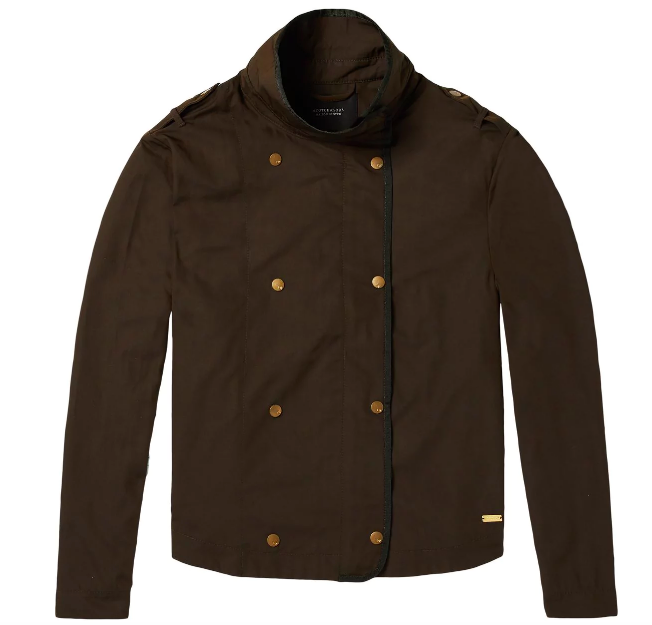 Pepper this jacket is. 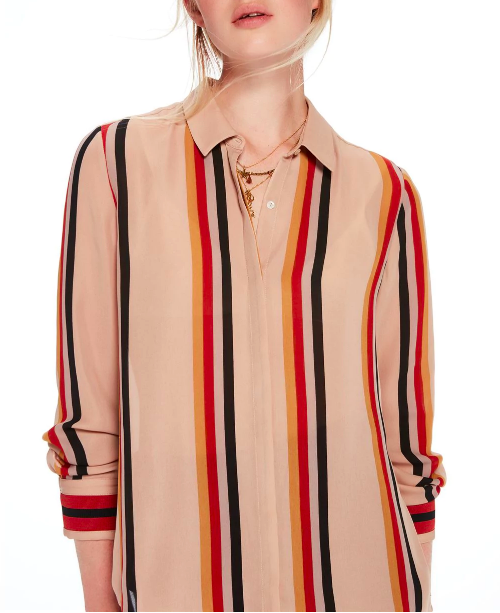 The color combination on this striped shirt is so good. 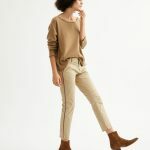 And I like the look of this lightweight sweater—as perfect for a casual Saturday as a day at the office. 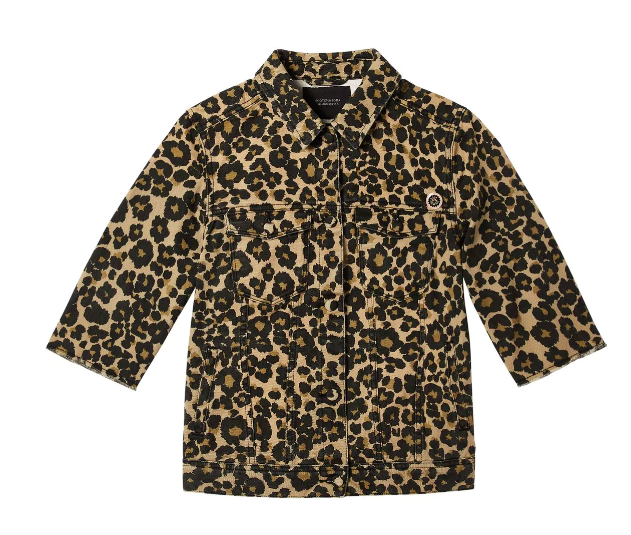 This short-sleeved leopard print denim jacket is all the excitement any outfit needs. 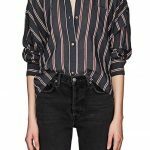 The zig-zaggy print on this blouse would look great peeking out from under a blazer. 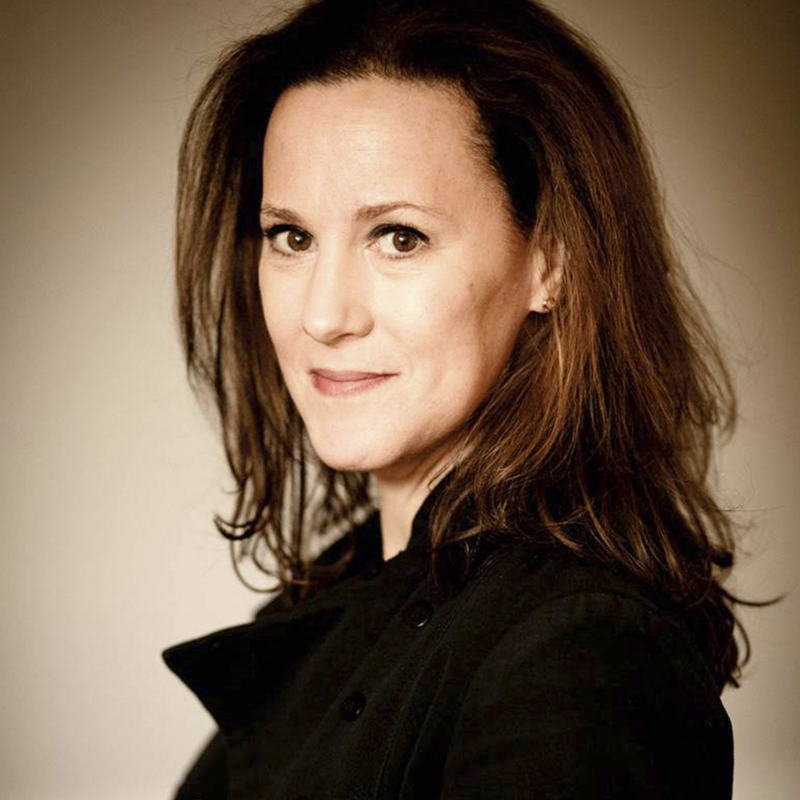 A simple black jacket with a denim collar: clever. I love a leopard print with pink in it. And finally: this leather cosmetic bag is just too great. Even though I’ve sworn off purchasing anymore black apparel, I find myself thinking the black jacket with the denim collar is pretty on target for an older person who wants just the slightest bit of edge. Dang! Even though I've sworn off purchasing anymore black apparel, I find myself thinking the black jacket with the denim collar is pretty on target for an older person who wants just the slightest bit of edge. Dang! Yes!it’s a strange collection they have there, with, as you point out some really nice pieces (like that excellent black jacket -i want it too c.w.-did you see the stars on the shoulders? ). And as long as we’re on European chains, How about Zadig & Voltaire next? I like their sweaters . Yes!it's a strange collection they have there, with, as you point out some really nice pieces (like that excellent black jacket -i want it too c.w.-did you see the stars on the shoulders? ). 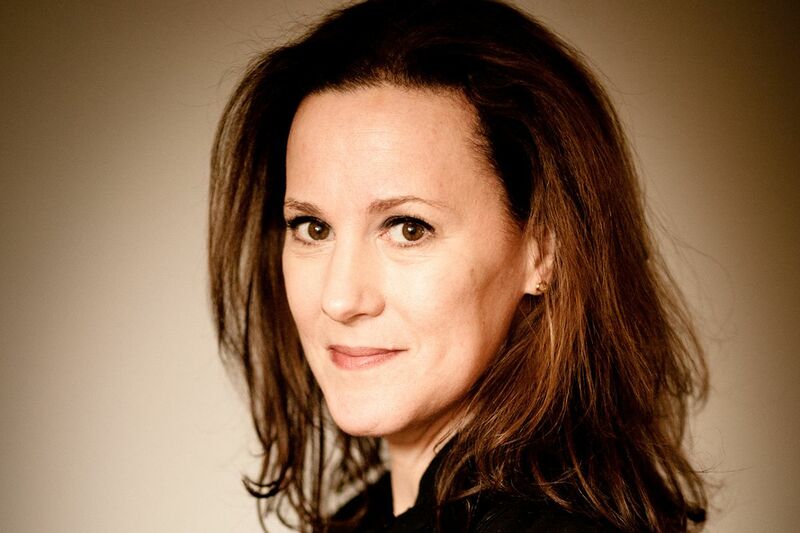 And as long as we're on European chains, How about Zadig & Voltaire next? I like their sweaters . As my young friend would say..."lurve the stars on the shoulders." This was not my favorite. Do miss your links though – are you taking a hiatus from those? This was not my favorite. Do miss your links though - are you taking a hiatus from those? I have a pair of Scotch & Soda jeans and pants they dubbed “velvet leopard print chinos” that I love. The slouchy leopard pants arrived with a faulty hook closure but an exchange was no problem. I met their high waisted boyfriend jeans IRL and had to size down. That cut, which is good quality and cute, isn’t on the site now but it might come back. Their end of season markdowns and special discounts are pretty good, and the men’s sweaters and shirts are worth checking out. Yes – It’s their men’s cardis, especially. They tend to be pretty classic. Yes - It’s their men’s cardis, especially. They tend to be pretty classic. This is great, Kim, as I’ve been craving transitional/spring jackets (in case winter ever decides to depart Chicago). I just bought both the Sgt. 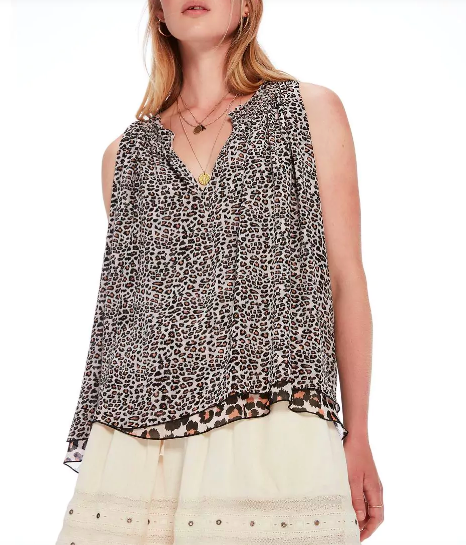 Pepper and leopard denim pieces; thank you, tax refund! This is great, Kim, as I've been craving transitional/spring jackets (in case winter ever decides to depart Chicago). I just bought both the Sgt. 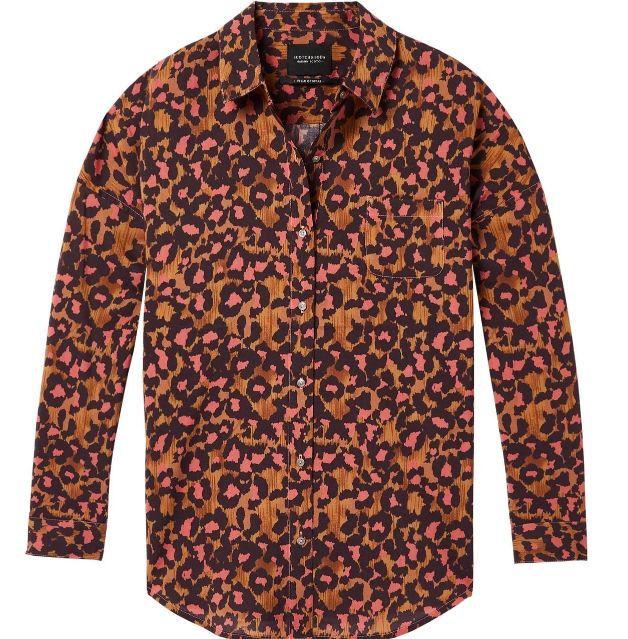 Pepper and leopard denim pieces; thank you, tax refund! That first top is insane!! I’ve never heard of this site! I’m completely dying for those leather pants! I've never heard of this site! I'm completely dying for those leather pants! I always get them and Maison Scotch mixed up. Or are they related? 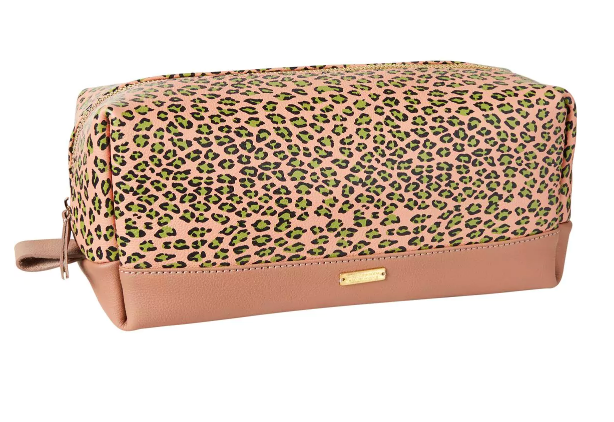 I have a thing for leopard print makeup bags! I’m pretty sure they are the same company. Maison Scotch might be the jeans division. I'm pretty sure they are the same company. Maison Scotch might be the jeans division. Please Please Please do a shopping the chains post for plus size brands like Universal Standard, Lane Bryant, Avenue.